Join Blue Point Yoga Center‘s experienced teachers for a fun morning of yoga and community in Durham Central Park! 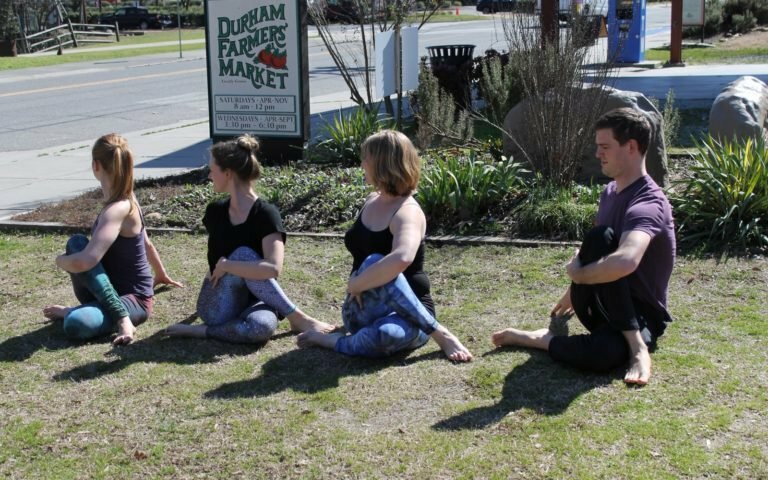 Durham Central Park and Blue Point Yoga have teamed up to offer free Saturday morning yoga classes for students of all levels. Yoga combines physical poses that build strength, flexibility and balance, with mindfulness practices that reduce the effects of stress and encourage overall well-being. Location: NEW LOCATION – The lawn adjacent to the Brannan. In the event of rain or inclement weather, the class will be cancelled.